The Monarch butterfly is one of the most loved butterflies here in the United States. It’s not only beautiful, it’s only butterfly that migrates up to 3,000 miles! However, this butterfly is in peril. 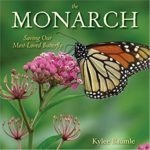 There has been a 90% decline in the Monarch population in the last 20 years. That is HUGE and in this episode you learn how this happened. We, as gardeners, can make a BIG difference. This is one time where a few simple steps in your backyard can actually have a large impact. 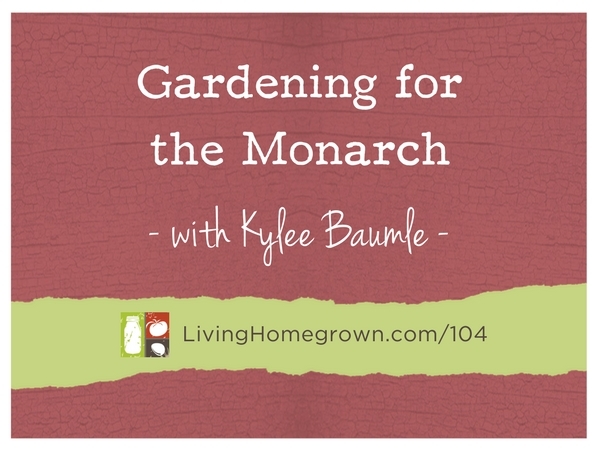 In this episode, I interview Kylee Baumle. 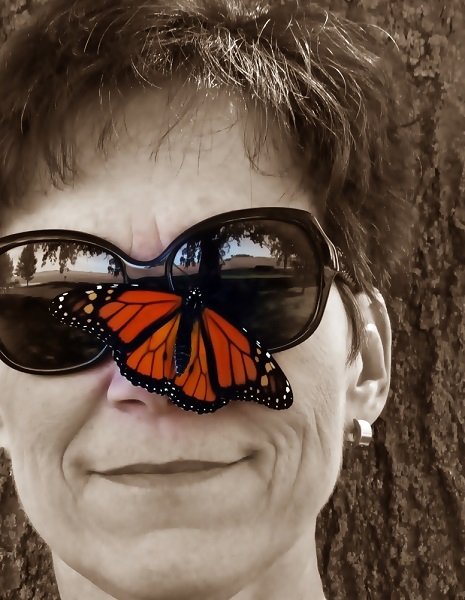 She is a fellow garden writer, author, citizen scientist and an advocate for the Monarch. Milkweed is toxic to grazing animals. Keep it in an area away from small children and pets. Cut off the flowers right after blooming to avoid it spreading where you don’t want it to. And avoid getting the sap anywhere near your eyes. Kylee Baumle has spent most of her adult life as a dental hygienist. Along the way, she married, raised two daughters and now enjoys playing with her three grandchildren. Somewhere in there, she stepped up her gardening game and became a writer, sharing her adventures in and out of the garden. Kylee writes a weekly column for her local newspaper where she takes gardening to a very personal level with the community in which she grew up and now lives, in rural northwest Ohio. She is also a speaker, having presented at the Northwest Flower & Garden Show in Seattle, the Ohio Master Gardener State Conference, educational symposiums, and various garden clubs. Kylee believes that each and every one of us can make a difference when we work together and do what we are able. She wants her grandchildren to not only be able to tell the wondrous story of the monarch to their own children and grandchildren, but to be able to show them much of it firsthand. Absolutely loved this podcast! I am going to order several milk weed plants to grow on a garden hillside at our home in the Santa Cruz mountains for the Monarchs. This garden will be the perfect tribute to our precious old dog we rescued 14 years ago that just passed away- who was as gentle, beautiful, and wonderful as a Monarch butterfly. Thanks Theresa and Kylee! Thanks for doing that, Laura, and being part of the monarch and pollinator solution! Hi Theresa, that was incredibly informative. I love butterflies! I get very excited when I see a butterfly in my garden, this year I hardly see any of them and I was wondering why. I like in Pickering Ontario. Keep us informed as always, I love what you are doing. We’re glad you enjoyed it, Yvonne! I simply LOVED this podcast. I learned so much about this beautiful butterfly. I do have a question about milkweed. It truly is a WEED. Once the seed pods burst I end up with milkweed EVERYWHERE. I started clipping the pods off. Also, milkweed can get quite large so where it is planted has to be thought out. My big question is…. Is it poisonous to my chickens or tortoises? Or even humans? I want to replant it but I need to think about where. It may not be such a great idea in my garden with edibles correct? You bring up a very valuable point. Milkweed is NOT good for most range animals. I believe it is considered toxic (which means it can make them sick, but would take quite a bit before it would kill them). The good news is that it doesn’t taste good AT ALL, so most animals avoid it. But I would keep it away from your chickens, other pets and small children who might get the sap on their hands. As with most sappy plants, the sap is dangerous if it gets in your eyes. Thanks, Renee. I prefer to call milkweed a wildflower, because that’s actually what it is. *wink* Depending on where you are and what type of milkweed you grow, it can be aggressive. We generally don’t call a native plant invasive, but some can get out of hand if they aren’t controlled. You’re doing the right thing to control it by clipping the pods. Theresa is correct about the milkweed and its toxicity. Thanks for the great info! In the spring, one of our local garden clubs had a program on the monarch plight also. In addition to planting their own monarch garden, they gave out info on where to buy milkweed plants and a date that you could come and get plants that they had grown for your own garden. Wow – That’s fantastic Colette. So glad more people are spreading the word.